Starting a program of any kind from the ground up will always have its challenges, and some of those challenges are what Western High School head JV coach Thomas Caudill has been facing. 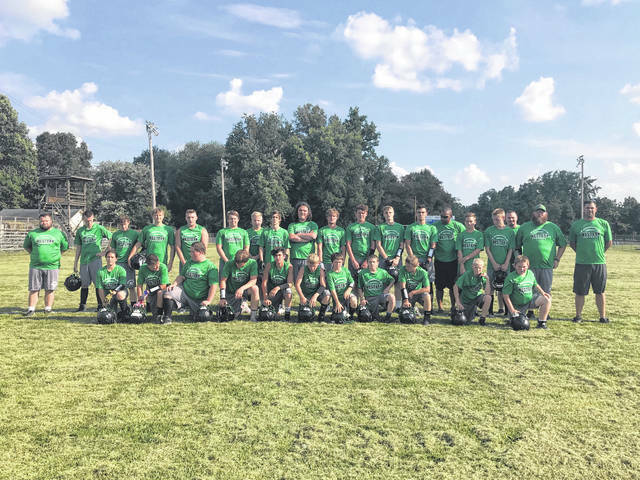 “Western has never had a high school program” said Caudill, “This will be their third year total: they’ve had youth for three years now, last year was their first year of junior high football, and this will be their very first high school football, ever”. In a county where the three other high schools already have well established programs in place, Western is looking to build from the ground up to give their students a chance to play football and represent their school. The toughest thing Caudill has experienced thus far is getting everyone into the routine of what it takes to build a strong football program from the base level. “The summer has been difficult, right now we’re sitting at about twenty-two kids on the high school roster, but it didn’t start that way in June” said Caudill, “I usually pick up five or six kids a day to get them to practice, it’s just getting the kids used to the routine”. Caudill is joined on his staff by assistant coaches Levi Jenkins and Dell Peterson. The Jr. High coach for Western is Matt Orin, who is joined by assistant coach Dustin Bradford. Caudill did not expect to be the head coach of the program right away, but when former coach Bill Crabtree decided to take a different job to be closer to his family, the opportunity was there for Caudill to become the leader in the locker room. “They opened the job up, I told them I’d definitely want to stay with the program” said Caudill, “I fell in love with the community, the kids have been really great. We’re still young in football, but the kids do anything you ask them to do. It’s just a great place to work”. So far, Western coaches have scheduled seven games for their newly formed team to play in their opening season. Those seven games include games against Northwest twice, Eastern, Green, Symmes Valley, and Paint Valley. Western is still looking to add more games to their schedule for this inaugural season. “It was a little scary to begin with, where we didn’t have a lot of numbers in June” said Caudill, “But now that we’ve got plenty of enough kids, we’re hoping to pick up to ten games this season”. Not only are the coaches excited for this new venture, but the kids who are able to play for the first program in school history are excited as well. “They’re extremely excited” said Caudill, “Freshman that played for the junior high team last year were pretty anxious to see if we were going to be able to have high school, and now that we do they’re extremely excited”. Western competed in a seven-on-seven scrimmage against East on Thursday evening, and Indian players were disappointed their coach cancelled their practice for that morning in preparation for Thursday’s scrimmage. 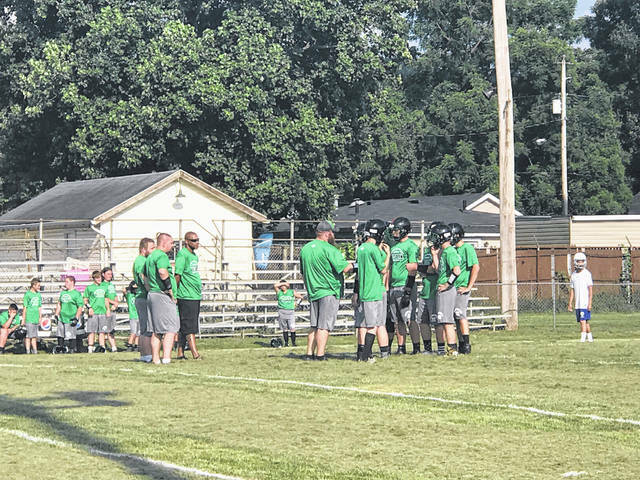 “Everybody is starting to love football” said Caudill, “We gave them this morning off because we had this passing scrimmage, and a lot of kids were disappointed that we had to cancel this morning”. Community recognition is important for any program that wishes to be successful, especially one that is as new and as fresh to the community of Latham as the Western Indians football program is. Caudill said his team has been working on community service projects as a way to show the community of Latham what they can do as a program to help. “We’re trying to raise community awareness to football” said Caudill, “And show them we’re trying to give back to the community at the same time”.